Throughout 2007, the company expanded testing and development, resulting in the introduction of its comprehensive Contractor Grade System in the United States in June. The system was heralded as an immediate success throughout the industry and orders for systems poured in from around the country. In 2008, demand for the GlassRenu Scratch Removal System continued to escalate, with the introduction of the process into a wide range of commercial, municipal and industrial applications, including: graffiti removal, construction repair, transportation & marine safety, glass & furniture manufacturing, and facility maintenance. In 2009, the company appointed its first European Dealer, it’s first Australian Dealer and began to ship systems internationally in limited quantity. 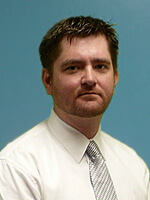 Cody Thomas has played a role in the day-to-day operations of GlassRenu since it was founded in August 2006. As the companys first employee, he has been involved in all aspects of the business, from product design, manufacturing, marketing and sales, to business operations. Cody came to GlassRenu following five years in purchasing and production with Symtx, Inc., a defense subcontractor, based in Austin, Texas. He received his Masters in Business Administration from the Peter F. Drucker School of Management, with dual concentrations in Marketing and Business Strategy, as well as a Bachelors in Biology, with a concentration in Genetics from Pitzer College.